Gulfstream's La Fleur 3 offers superior craftsmanship in all aspects of it's design. 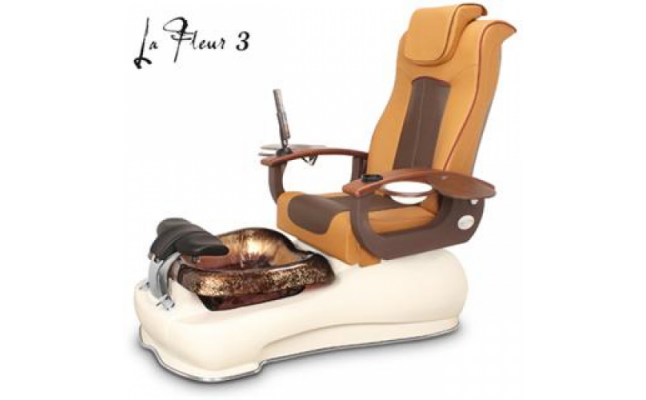 Four argent base color options; eight illustrious glass bowl colors; and ten beautiful massage chair upholstery colors allow for a La Fleur to be personalized for your spa. 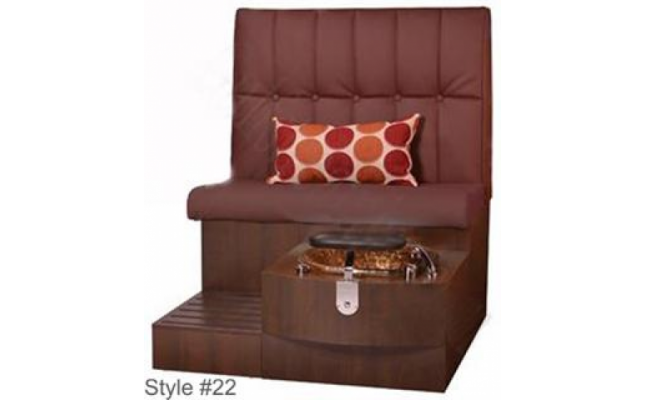 Free shipping for orders of four or more spas! (free shipping offer does not include the Mini Lavender, Paris Bench, Chi Spa, wood products, or Mariposa 3; and is limited to the continental United States) La Fleur measures at 56" Length x 30" Width x 51" Height; approx. 300 lbs. Unit height varies depending on the chair model chosen. Chair width is 32 inches with the trays positioned down; the chair width is 46 inches with the trays positioned up. Gulfstream's La Fleur 3 holds the following certifications: UL (file #E218645); Boston MA Approval (P3-0610-529); LA Approval (M-090072); IAPMO certification, which is certified to CSA standards; and the shower head is UPC approved. Full payment for all orders, online or in-house, must be received prior to shipping Shipping Charges may change without notice. Shipping Charges are valid for the continental US and Canada, this does not include Hawaii or Alaska. Shipping charges to other locations will vary. Please contact us for details Shipping price is valid for one or two complete spas, the shipping charge will double for three spas, and shipping is free with the purchase of four or more spas. * Due to photographic and printing processes, colors displayed on flyers, pamphlets and/or website may vary from actual product. * Continuing efforts to develop new and improved products may cause any and all specifications to change without notice. Create your own Chi Spa by selecting one of the natural wood colors to compliment the vivid Cappuccino basin. 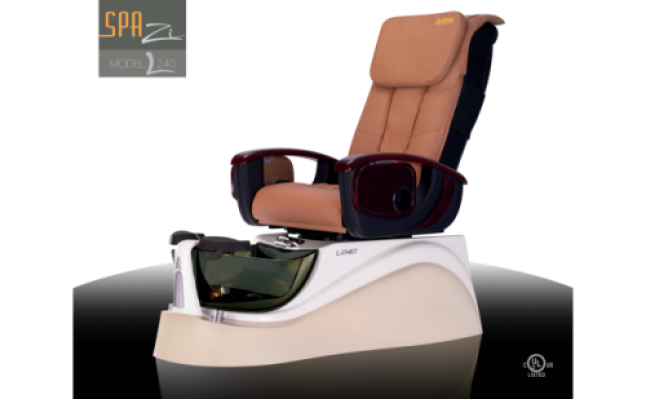 Soothe your client with one of the luxurious massage chairs with your choice of leatherette colors. 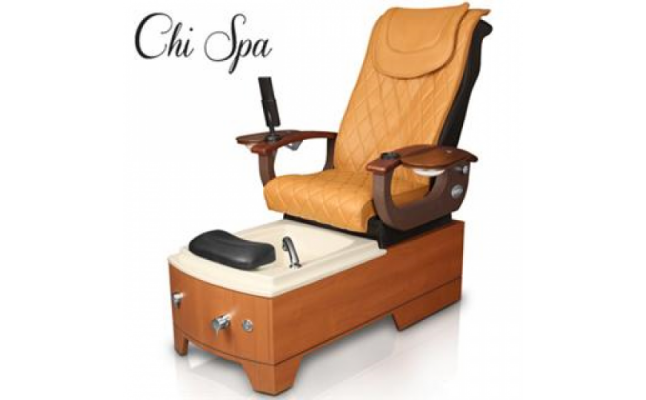 Chi Spa measures at 53" Length x 30" Width x 51" Height; approx. 250 lbs. Custom Laminate is available upon request. Additional Charges may apply. Please contact Gulfstream for details. Unit height varies depending on the chair model chosen. Chair width is 32 inches with the trays positioned down; the chair width is 46 inches with the trays positioned up. Gulfstream's Chi Spa holds the following certifications: UL (file #E218645); Boston MA Approval (P3-0610-529); IAPMO certification, which is certified to CSA standards; and the shower head is UPC approved. Full payment for all orders, online or in-house, must be received prior to shipping. Shipping Charges may change without notice. Shipping Charges are valid for the continental US and Canada, this does not include Hawaii or Alaska. Shipping charges to other locations will vary. Please contact us for details. * Due to photographic and printing processes, colors displayed on flyers, pamphlets and/or website may vary from actual product. * Continuing efforts to develop new and improved products may cause any and all specifications to change without notice. * Bowl color not exactly as shown. Glass contains a reflection which refracts different colours. 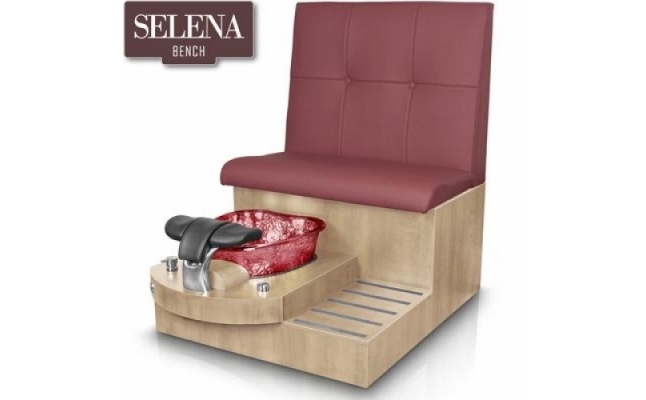 Make your spa/salon unique by customizing each aspect of this chic new bench. Freight must be quoted and paid separately after ordering of custom furniture. Gulfstream's Benches hold the following certifications: UL (file #E218645); Boston MA Approval (P3-0610-529); LA Approval (M-090072); IAPMO certification, which is certified to CSA standards; and the shower head is UPC approved. Shipping Charges may change without notice. Shipping Charges are valid for the continental US and Canada, this does not include Hawaii or Alaska. Shipping charges to other locations will vary. Please contact us for details. Full payment for all orders, online or in-house, must be received prior to shipping. * Due to photographic and printing processes, colors displayed on flyers, pamphlets and/or website may vary from actual product. * Continuing efforts to develop new and improved products may cause any and all specifications to change without notice. * Bowl color not exactly as shown. Glass contains a reflection which refracts different colours. 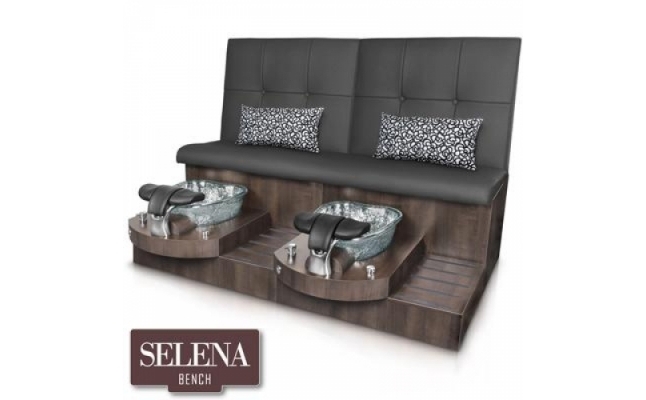 Make your spa/salon unique by customizing each aspect of this chic new bench. Freight must be quoted and paid separately after ordering of custom furniture. Custom Laminate Options or Upholstery Upgrade Options or Fabric Upgrade Options are available upon request. Additional Charges may apply. Please contact Gulfstream for details. Gulfstream's Benches hold the following certifications: UL (file #E218645); Boston MA Approval (P3-0610-529); LA Approval (M-090072); IAPMO certification, which is certified to CSA standards; and the shower head is UPC approved. Double & triple units require special shipping. Please call for an estimate. Shipping Charges may change without notice. Shipping Charges are valid for the continental US and Canada, this does not include Hawaii or Alaska. Shipping charges to other locations will vary. Please contact us for details. Full payment for all orders, online or in-house, must be received prior to shipping. * Due to photographic and printing processes, colors displayed on flyers, pamphlets and/or website may vary from actual product. * Continuing efforts to develop new and improved products may cause any and all specifications to change without notice. * Bowl color not exactly as shown. Glass contains a reflection which refracts different colours. Daisy 3 measures at 54" Length x 30" Width x 51" Height; approx. 300 lbs. Gulfstream's Daisy 3 holds the following certifications: UL (file #E218645); Boston MA Approval (P3-0610-529); LA Approval (M-090072); IAPMO certification, which is certified to CSA standards; and the shower head is UPC approved. Unit height varies depending on the chair model chosen. Full payment for all orders, online or in-house, must be received prior to shipping. Shipping Charges may change without notice. Shipping Charges are valid for the continental US and Canada, this does not include Hawaii or Alaska. Shipping charges to other locations will vary. Please contact us for details. * Due to photographic and printing processes, colors displayed on flyers, pamphlets and/or website may vary from actual product. * Continuing efforts to develop new and improved products may cause any and all specifications to change without notice. * Bowl color not exactly as shown. Glass contains a reflection which refracts different colours. 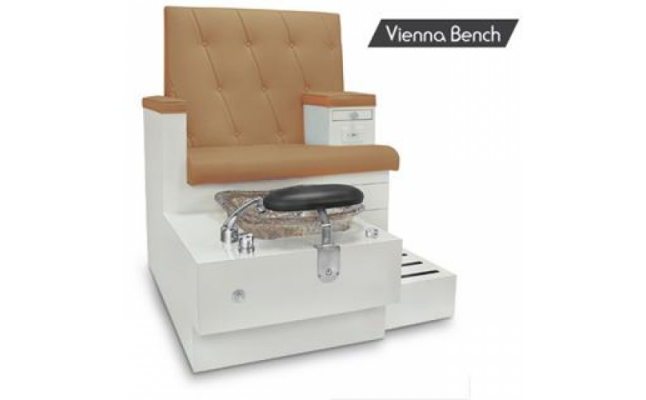 Available in one, two, and three seats, The Vienna Bench is perfect for couples, girls' days out, and multiple pedicures. 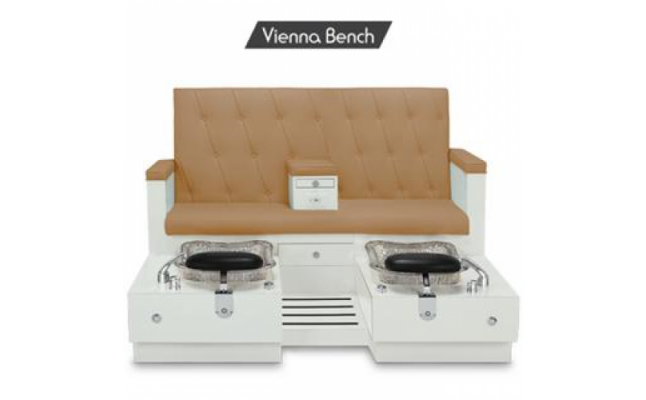 Choose your bowl color and upholstery to make the Vienna Bench unique to your spa. Custom Upholstery Upgrade Options or Fabric Upgrade Options are available upon request. Additional charges may apply. Please contact Gulfstream for details. Gulfstream's Vienna Bench holds the following certifications: UL (file #E218645); Boston MA Approval (P3-0610-529); LA Approval (M-090072); IAPMO certification, which is certified to CSA standards; and the shower head is UPC approved. Double & triple units require special shipping. Please call for an estimate. Shipping Charges may change without notice. Shipping Charges are valid for the continental US and Canada, this does not include Hawaii or Alaska. Shipping charges to other locations will vary. Please contact us for details. Full payment for all orders, online or in-house, must be received prior to shipping. * Due to photographic and printing processes, colors displayed on flyers, pamphlets and/or website may vary from actual product. * Continuing efforts to develop new and improved products may cause any and all specifications to change without notice. * Bowl color not exactly as shown. Glass contains a reflection which refracts different colours. The possibilities are endless with the La Fleur 4. Choose one of four acrylic base colors; pick one of many glass bowl colors; accent with one of four side inserts colors; and top it off with your choice of massage chair. Free shipping for orders of four or more spas! (free shipping offer does not include the Mini Lavender, Paris Bench, Chi Spa, wood products, or Mariposa 3; and is limited to the continental United States) Non Stock Item(s) may take 8 - 14 Weeks for delivery La Fleur 4 measures at 57" Length x 29.5" Width x 51" Height; 220 lbs. Unit height varies depending on the chair model chosen. Chair width is 32 inches with the trays positioned down; the chair width is 46 inches with the trays positioned up. Gulfstream's La Fleur 4 holds the following certifications: UL (file #E218645); Boston MA Approval (P3-0610-529); LA Approval (M-090072); IAPMO certification, which is certified to CSA standards; and the shower head is UPC approved. Full payment for all orders, online or in-house, must be received prior to shipping Shipping Charges may change without notice. Shipping Charges are valid for the continental US and Canada, this does not include Hawaii or Alaska. Shipping charges to other locations will vary. 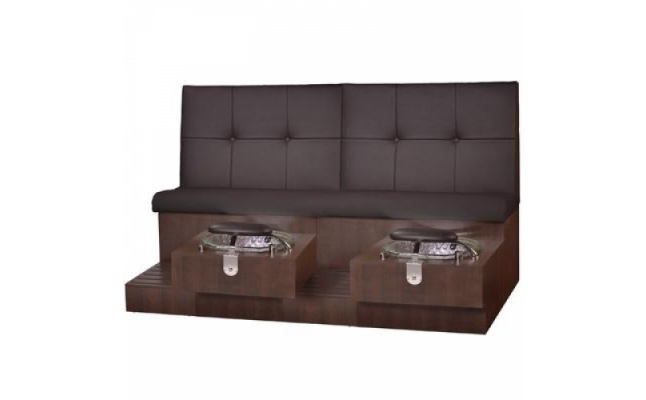 Please contact us for details Shipping price is valid for one or two complete spas, the shipping charge will double for three spas, and shipping is free with the purchase of four or more spas. * Due to photographic and printing processes, colors displayed on flyers, pamphlets and/or website may vary from actual product. * Continuing efforts to develop new and improved products may cause any and all specifications to change without notice. 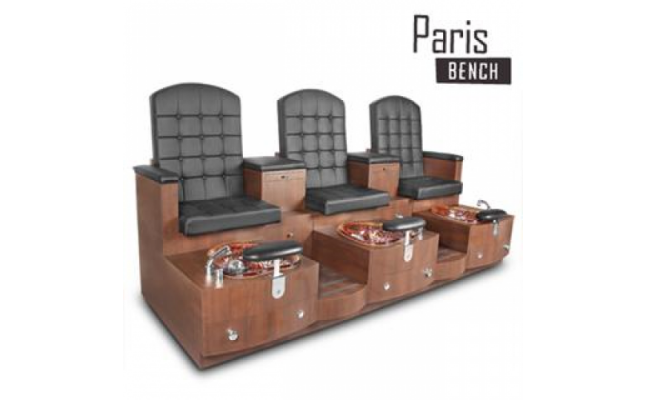 Available in one, two, and three seats, the Paris bench is perfect for couples, girls' days out, and multiple pedicures. 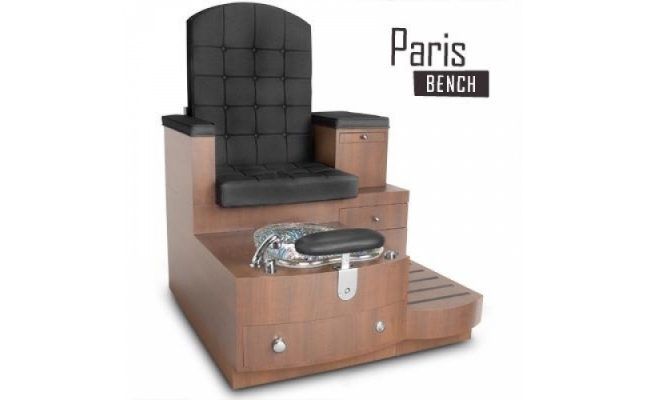 Choose your laminate, bowl color and upholstery to make the Paris Bench unique to your spa. Custom Laminate Options or Upholstery Upgrade Options or Fabric Upgrade Options are available upon request. Additional charges may apply. Please contact Gulfstream for details. Gulfstream's Paris Bench holds the following certifications: UL (file #E218645); Boston MA Approval (P3-0610-529); LA Approval (M-090072); IAPMO certification, which is certified to CSA standards; and the shower head is UPC approved. Double & triple units require special shipping. Please call for an estimate. Shipping Charges may change without notice. Shipping Charges are valid for the continental US and Canada, this does not include Hawaii or Alaska. Shipping charges to other locations will vary. Please contact us for details. Full payment for all orders, online or in-house, must be received prior to shipping. * Due to photographic and printing processes, colors displayed on flyers, pamphlets and/or website may vary from actual product. * Continuing efforts to develop new and improved products may cause any and all specifications to change without notice. * Bowl color not exactly as shown. Glass contains a reflection which refracts different colours. 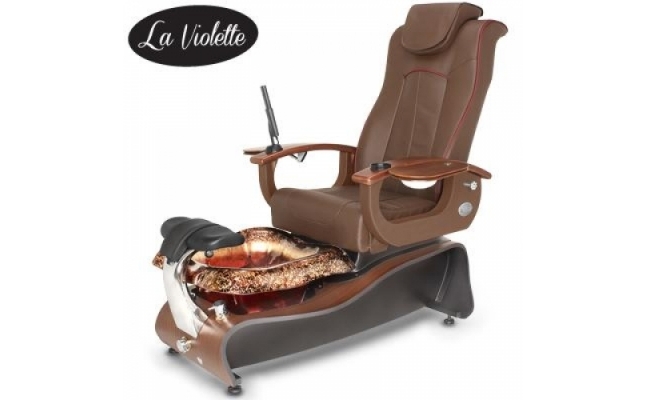 Choose your laminate, bowl color and upholstery to make the La Rosina unique to your spa. 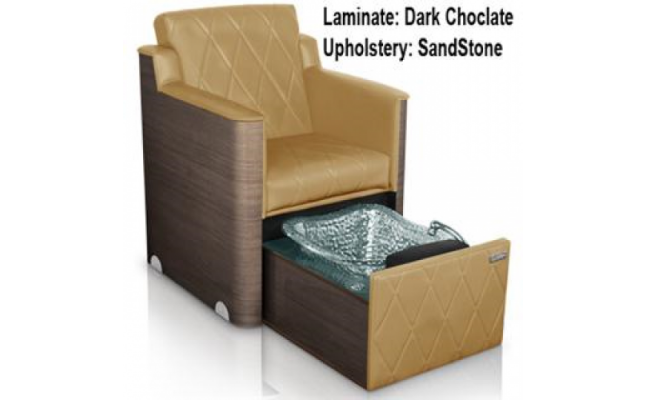 Please contact Gulfstream for details and available custom Laminate or Upholstery Options. 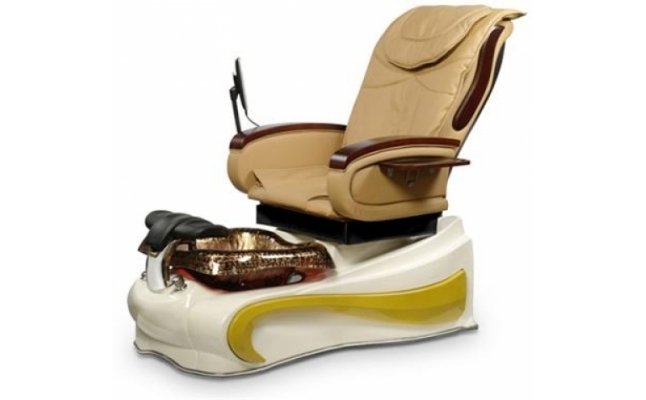 Features: • Multi Purpose Convenience for Manicure and Pedicure • Vibration massage on both back and seat portion of spa. 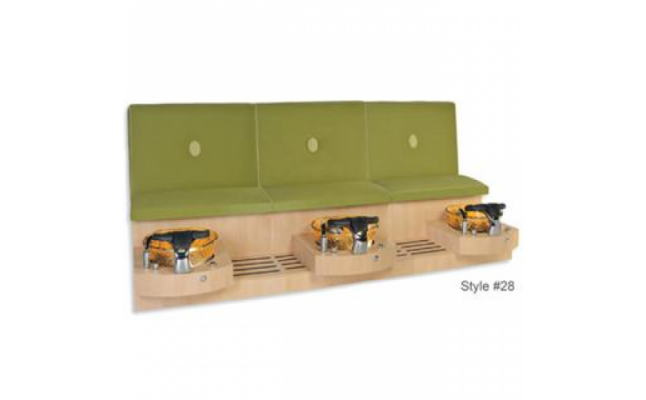 • Optional Manicure Table • Locking Wheels for Easy Movement • Hidden Plumbed Footbowl • Variety of Color and Finish Options Shipping Charges may change without notice. Shipping Charges are valid for the continental US and Canada, this does not include Hawaii or Alaska. Shipping charges to other locations will vary. Please contact us for details. Full payment for all orders, online or in-house, must be received prior to shipping. * Due to photographic and printing processes, colors displayed on flyers, pamphlets and/or website may vary from actual product. * Continuing efforts to develop new and improved products may cause any and all specifications to change without notice. * Bowl color not exactly as shown. Glass contains a reflection which refracts different colours. Unit height varies depending on the chair model chosen. Units with 9640 chairs are 51 inches high; units with 9620 chairs are 58 inches high. La LiLi 5 generally measure to: 50" length x 27.5" width x 70" height. Chair width is 32 inches with the trays positioned down; the chair width is 46 inches with the trays positioned up. Gulfstream's La LiLi 5 holds the following certifications: UL (file #E218645); Boston, MA Approval (P3-0610-529); LA Approval (M-090072); the showerhead is UPC approved; and IAPMO testing has been completed. Shipping Charges may change without notice. Shipping Charges are valid for the continental US and Canada, this does not include Hawaii or Alaska. Shipping charges to other locations will vary. Please contact us for details. 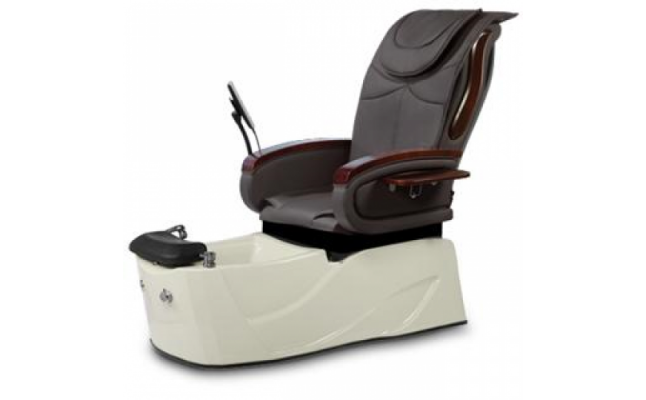 Free shipping for orders of four or more spas! 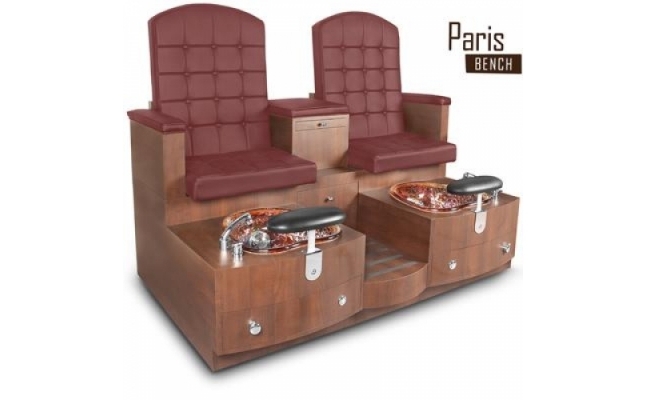 (Free shipping offer does not include the Mini Lavender, Paris Bench, Chi Spa, wood products, or Mariposa 3; and is limited to the continental United States) * Due to photographic and printing processes, colors displayed on flyers, pamphlets and/or website may vary from actual product. * Continuing efforts to develop new and improved products may cause any and all specifications to change without notice. The Lavender's base is unlike any other with it's sleek contours in a dark cherry wood. Eight brilliant glass bowl colors are available to give you ample variety, and the luxurious massage chair comes in a variety of choice. 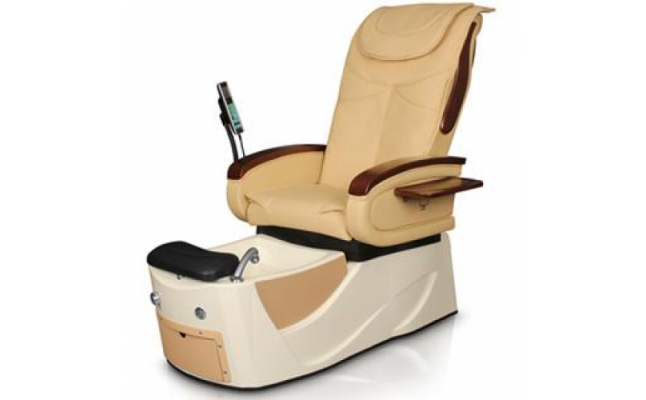 Free shipping for orders of four or more spas! (free shipping offer does not include the Mini Lavender, Paris Bench, Chi Spa, wood products, or Mariposa 4; and is limited to the continental United States). The Lavender measures at 56" Length x 28.75" Width x 57" Height; approx. 260 lbs. Unit height varies depending on the chair model chosen. Chair width is 32 inches with the trays positioned down; the chair width is 46 inches with the trays positioned up. Gulfstream's Lavender holds the following certifications: UL (file #E218645); LA Approval (M-090072); IAPMO certification, which is certified to CSA standards; and the shower head is UPC approved. Custom Laminate is available upon request. Additional Charges may apply. Please contact Gulfstream for details. The Lavender 3 base with the light wood base has a lead time of 4 weeks. Full payment for all orders, online or in-house, must be received prior to shipping. Shipping Charges may change without notice. Shipping Charges are valid for the continental US and Canada, this does not include Hawaii or Alaska. Shipping charges to other locations will vary. Please contact us for details. Shipping price is valid for one or two complete spas, the shipping charge will double for three spas, and shipping is free with the purchase of four or more spas. * Due to photographic and printing processes, colors displayed on flyers, pamphlets and/or website may vary from actual product. * Continuing efforts to develop new and improved products may cause any and all specifications to change without notice. * Bowl color not exactly as shown. Glass contains a reflection which refracts different colours. 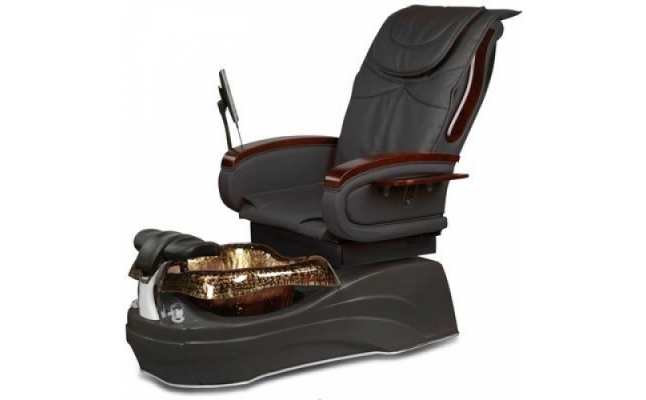 La Tulip 2 offers Gulfstream's signature hand crafted glass bowl, available in an assortment of vibrant colors; durable acrylic base; high quality massage chair; & Clean Jet MAX Technology. 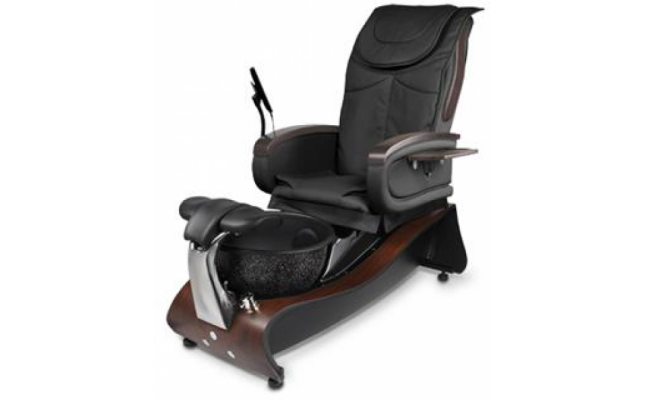 Free shipping for orders of four or more spas! (free shipping offer does not include the Mini Lavender, Paris Bench, Chi Spa, wood products, or Mariposa 3; and is limited to the continental United States) La Tulip measures at 54" Length x 26.5" Width x 48.75" Height; 300 lbs. Unit height varies depending on the chair model chosen. Chair width is 30 inches with the trays positioned down; the chair width is 44 inches with the trays positioned up. Gulfstream's La Tulip holds the following certifications: UL (file #E218645); Boston MA Approval (P3-0610-529); LA Approval (M-090072); IAPMO certification, which is certified to CSA standards; and the shower head is UPC approved. Full payment for all orders, online or in-house, must be received prior to shipping Shipping Charges may change without notice. Shipping Charges are valid for the continental US and Canada, this does not include Hawaii or Alaska. Shipping charges to other locations will vary. 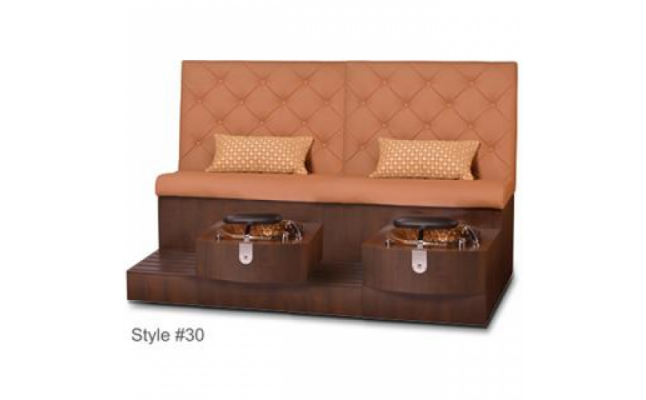 Please contact us for details Shipping price is valid for one or two complete spas, the shipping charge will double for three spas, and shipping is free with the purchase of four or more spas. * Due to photographic and printing processes, colors displayed on flyers, pamphlets and/or website may vary from actual product. * Continuing efforts to develop new and improved products may cause any and all specifications to change without notice. La Plumeria's highlight is the option for built in plumbing and removable bowl. The sleek wooden base, standard in dark cherry, houses a built in drain for easy emptying; a removable bowl, available in tangerine and black, for hassle free cleaning; and utilizing Gulfstream's new Stingray jet. La Plumeria offers it all. La Plumeria measures at 57" Length x "32" Width x 57" Height; 260 lbs. Custom Laminate is available upon request. Additional Charges may apply. Please contact Gulfstream for details. Unit height varies depending on the chair model chosen. Chair width is 32 inches with the trays positioned down; the chair width is 46 inches with the trays positioned up. Gulfstream's La Plumeria holds the following certifications: UL (file #E218645); IAPMO certification, which is certified to CSA standards; and the shower head is UPC approved. 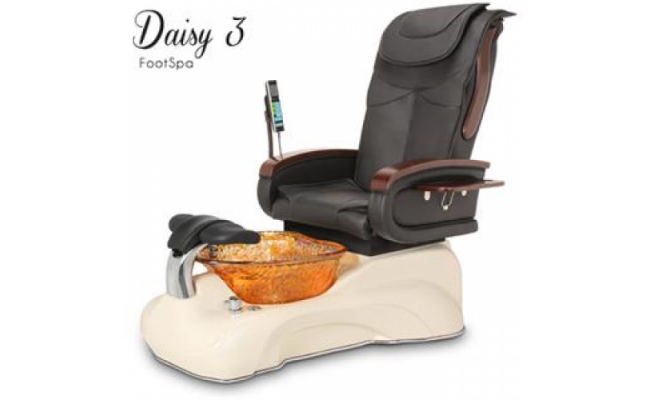 Free shipping for orders of four or more spas! Shipping Charges may change without notice. Shipping Charges are valid for the continental US and Canada, this does not include Hawaii or Alaska. Shipping charges to other locations will vary. Please contact us for details. Shipping price is valid for one or two complete spas, the shipping charge will double for three spas, and shipping is free with the purchase of four or more spas. Full payment for all orders, online or in-house, must be received prior to shipping. * Due to photographic and printing processes, colors displayed on flyers, pamphlets and/or website may vary from actual product. * Continuing efforts to develop new and improved products may cause any and all specifications to change without notice. Unit height varies depending on the chair model chosen. Units with 9640 chairs are 51 inches high; units with 9620 chairs are 58 inches high. 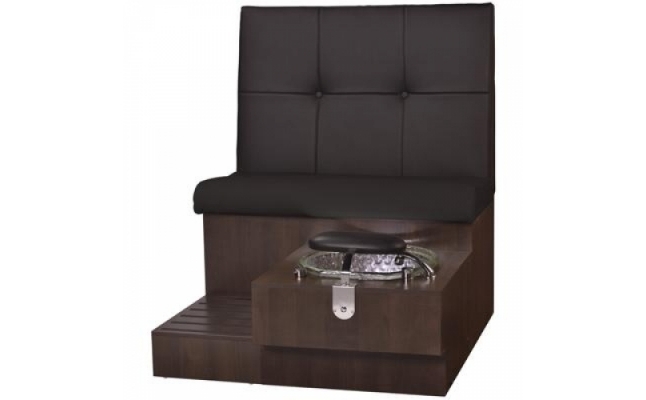 Free shipping for orders of four or more spas! (free shipping offer does not include the Mini Lavender, Paris Bench, Chi Spa, wood products, or Mariposa 3; and is limited to the continental United States) La LiLi #4 generally measure to: 50" length x 27.5" width x 70" height. Chair width is 32 inches with the trays positioned down; the chair width is 46 inches with the trays positioned up. Gulfstream's La LiLi 4 holds the following certifications: UL (file #E218645); Boston MA Approval (P3-0610-529); LA Approval (M-090072); the showerhead is UPC approved; and IAPMO testing has been completed. Full payment for all orders, online or in-house, must be received prior to shipping Shipping Charges may change without notice. Shipping Charges are valid for the continental US and Canada, this does not include Hawaii or Alaska. Shipping charges to other locations will vary. Please contact us for details Shipping price is valid for one or two complete spas, the shipping charge will double for three spas, and shipping is free with the purchase of four or more spas. * Due to photographic and printing processes, colors displayed on flyers, pamphlets and/or website may vary from actual product. * Continuing efforts to develop new and improved products may cause any and all specifications to change without notice. 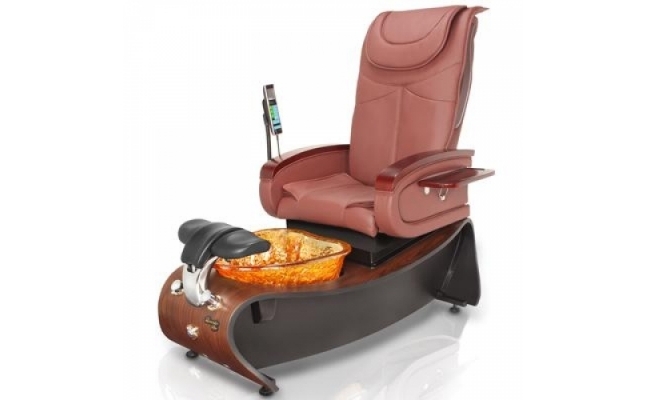 This is an adorable pedicure unit designed for your smaller clients. 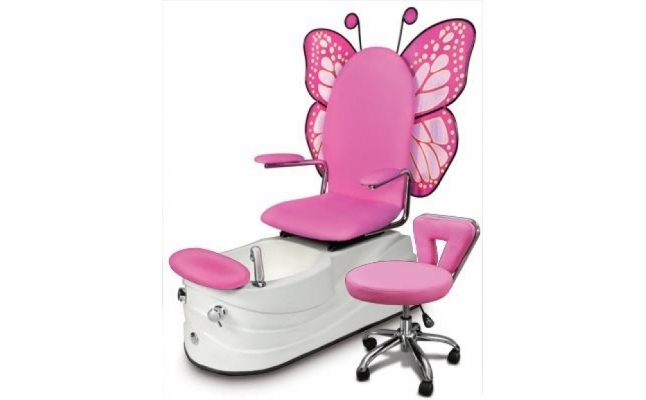 White Acrylic Base with Pink Butterfly Chair comes as standard, however, Biscuit, Cappuccino or Black are available color options for the base. Mother/daughter day can now be at your spa. Mariposa 4 measures as 50" Length x 23.75" Width x 58" Height; 110 lbs. Mariposa 4 holds the following certifications: UL (file #E218645); Boston MA Approval (P3-0610-529); LA Approval (M-090072); IAPMO certification, which is certified to CSA standards; and the shower head is UPC approved. If you have any questions about this product, product information or orders, or if you need product dimensions, please contact us.